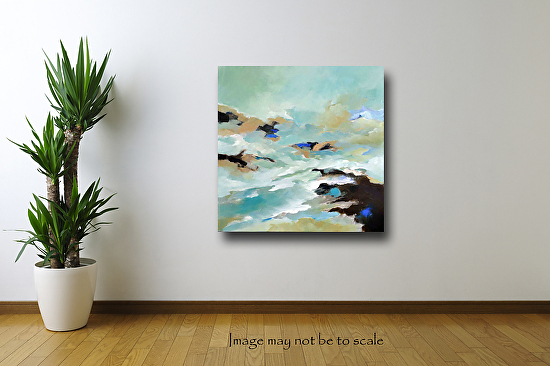 Stormy Sea measures 30" x 30". This textural, abstract acrylic painting is on a gallery-wrapped canvas with the sides painted in a shimmery gray/black micaceous iron oxide. The painting is signed on the side, dated and signed on the back. It is wired and ready to hang. 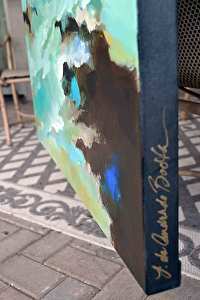 A light coat of clear acrylic varnish has been applied to seal and protect the beauty of this painting. To purchase prints of this painting and many more items, click here! Be sure to visit my website to see more of my original abstract paintings! Click here to subscribe to my monthly art newsletter!